If you're looking for map data that would primarily be used as a map display, you'll want to license HERE Map Data without navigable attributes, POIs and address ranges (also known as HERE Base Data). Removing these three options makes display maps more economical, but some GIS applications may require more richness. If that’s the case, POI data can be added to the license. 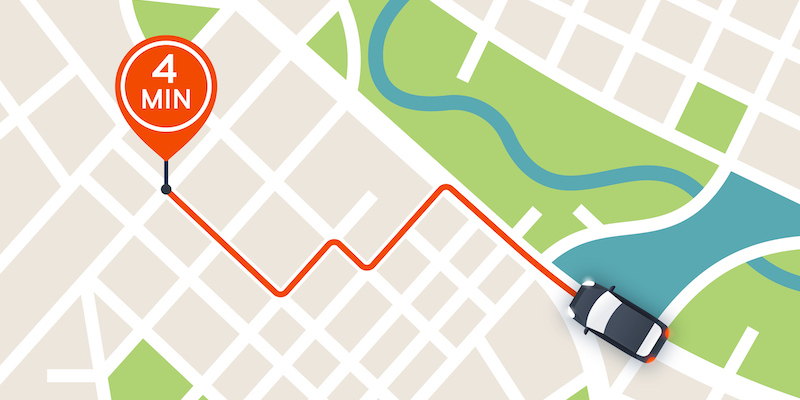 Is geocoding or reverse geocoding is your main goal? Licensing HERE Map Data without navigable attributes (also known as HERE Standard) is the ideal solution. This map data contains the block and actual address ranges that are essential for geocoding, along with POIs. To further enhance geocoding accuracy, licensing HERE Point Addressing enables the highest level of destination selection and “to the door” arrival precision. If you're searching for map data with everything you need to perform route calculation, consider licensing HERE Map Data (formerly known as HERE Premium). Fleet and transportation applications are well served by HERE Map Data that contains navigable attributes, block and actual address ranges and POIs. This data can be used to geocode deliveries, reverse geocode the location of an asset and show it on a map and calculate accurate routes. Integrating HERE map data into your GIS application is a smart and seamless way to access a rich dataset that contains all of the attributes needed for map displays, geocoding, and routing applications. To find out how HERE map data can be tailored to fit your needs, contact ADCi today.